Use your free time effectively by doing micro tasks from these Micro Jobs Websites. 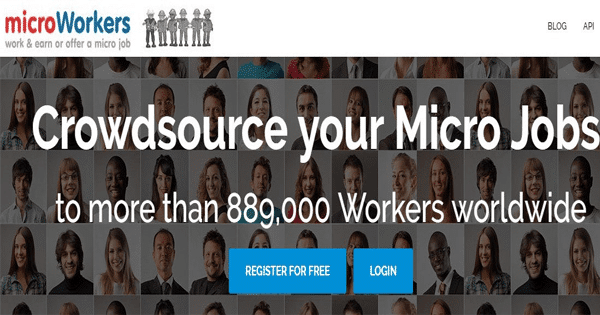 In this article, I am going to discuss with you the different micro jobs websites that offer microtask to the people and giving them the opportunity to earn online. These kinds of jobs are often popular in many countries and most suitable for college students, housewives and others who are searching for second income. There are so many people making a very decent income from these jobs by working online from the comfort of their home. Like other online jobs, there are many scammers in this industry and it is hard to differentiate legitimate sites from the scam sites. Hence, I researched on the internet and find genuine micro jobs websites to list here in this paper for the use my blog audience. We all want to become an own boss and most likely to live a stress-free life. The influence of the latest technologies has changed working online much simpler today. Among them, doing micro jobs has become one of the easiest ways to earn some additional income by utilizing your free time either sitting at your home or at your office. A micro job, as the word implies, is a small task of any type or sometimes called a temporary work, for the employer. The employee may work for the employer either in person or from a remote location. These micro jobs are usually completed in minutes and it requires only a basic skill and knowledge to surf the Internet. Make posts on Forum etc. Many numbers of students, housewives, and job seekers have chosen these micro jobs as a source of their additional revenue. How Do Micro Jobs Websites Work? The websites which offer microtasks are classified as Micro-Job sites. They stand as middlemen between the employer and the worker (people). The Employer can register an account to post micro jobs for the people after making a small deposit for the payment to the worker. Similarly, the worker can also register an account to find micro jobs suitable for them. You can select any task based on your skill and time. Look at the terms and conditions of the employer before attempting the task to work. Once you were satisfied, you can take that micro job. Complete the work before the time ends and then submit the proofs while submitting the work to the employer. The employer will review the work and once marked as complete, the micro jobs websites release the payment to the worker. Then, they will take a small percentage as a commission for their support and service. What are the types of micro jobs? Online Tasks: These are the tasks that can be done entirely online, requiring no real-world interaction. The employers usually advertise on micro job websites to find some online willing to work. The best example is Amazon Mturk which is a kind of this type. Real World Tasks: Similarly the websites that promote these kinds of micro jobs are basically a marketplace for odd jobs. These micro jobs are not completed online but it requires the in-person presence to complete the activity. Task Rabbit, we will see in detail, is a kind of these micro jobs websites. CrowdSourcing Websites: In this type, a large company hires many workers to do small parts of a larger project. The workers usually log on to the company’s website to perform the available task. 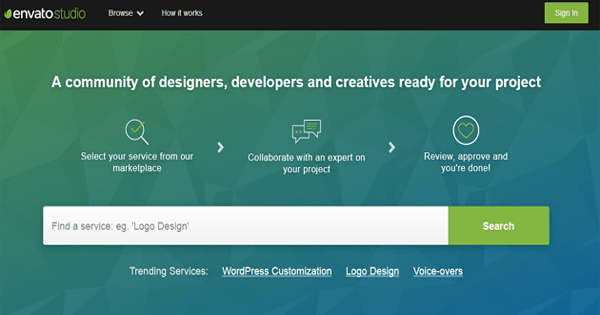 Envato (discussed below) is a kind of this type of micro job site use crowdsourcing for a variety of task. In every online job, this is the common question asked by most of the people. You can earn up to $500 every month with proper knowledge of working. The micro jobs websites pay anywhere between $0.01 to $1 based on the task, time taken to complete the task and payment offered by the employer. Another factor that affects your earnings is your geographic location, because tier 1 countries like the USA, the UK will receive more daily tasks. While countries on the other tier 2 and below will receive less task for the worker. The number of tasks assigned to you also based on your success percentage, your skill, and previous completion history. All these factors affect your earnings, but in the end, if you clearly learned and understand the instructions of the employer, you can earn anywhere between $150 – $500 every month. Since USD is the base currency worldwide, there is no doubt you will be paid in US Dollars. Before you start registering with these micro jobs websites, you should register a free account with payment processors such as PayPal, Payza, Payoneer etc. These processors make global payments easier, faster, and secure. Once you earned a minimum threshold, you can place a payment request. Few sites pay when you reached a minimum of $20. You can find the payment mode in the respective websites account section. Some micro jobs may not offer you any kind of cash payments but they offer points or gift vouchers, which one can redeem through any other way. Many micro jobs are done completely online from the computer and some may require real-world interaction and a smartphone. For an example, the company may ask you to take a photograph of a product and submit online via your mobile phone. Let us see some reliable money making micro jobs sites which are legitimate and paying people on time. 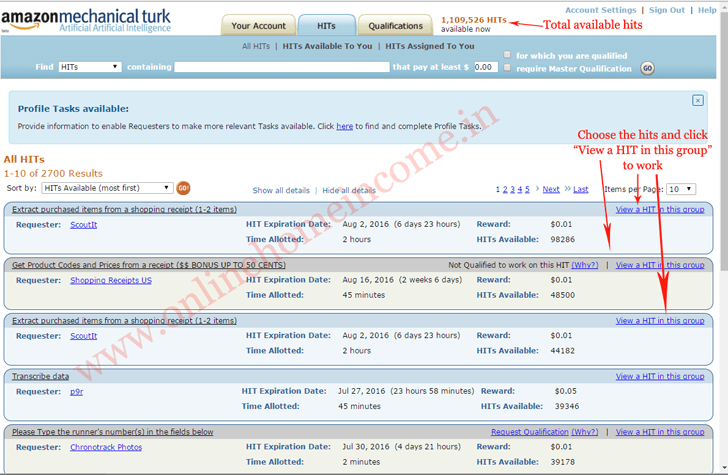 Amazon Mechanical Turk is the most popular websites in the micro-jobs field which is owned and operated by Amazon. It is also called as Mturk. At MTurk, Micro jobs are named as HITs (Human Intelligence Tasks), the employer is named as the Requester. Registration is free and you can either register as a worker or the requester. You can become a member just by completing their registration form. You are allowed to take the work after you registered the account and verified by the Amazon. Approving your account or rejecting is at the sole discretion of Amazon only. The sad part of this program is that they reject the requests from the countries like India, Pakistan and other parts of Asia. But the people from the USA/UK and other tiers 1 countries can definitely start Mturk and make money from their home. MicroWorkers is the best alternative for Mturk and to those we failed to get approval from Mturk, can register with Microworkers. Here also, the micro-jobs are called as Tasks, the person who offers tasks are called as Employer and the person performing the task is called as a worker. When you register your account, you will be assigned a very few tasks at your beginning days to assess your qualifications. Focus on the quality and complete the tasks on time, so that employers can rate your task as the best which helps to get your more tasks in the future. A single negative rating will affect your overall accuracy. If it falls below 75%, you will not be allowed to take tasks. In that case, you have to be stand still and stay ideal for the period of 30days and again start from the beginning. Microworkers are country-specific and offer more tasks to the people from Tier 1 countries like USA, UK and Tier 2 countries like India, Pakistan etc. If you are a worker from the Tier 1 country, you can easily make more than $100, but it’s difficult to earn that much for the worker from Tier 2 or below country. They pay anywhere between $0.005 to $0.05 based on the length of the task, pay per task by the employer, geographic location etc. Registration is free for both the employer and the worker, and make sure to enter correct information including address, mailing details etc. Microworkers require you to verify your mailing address through PIN verification method as Google Adsense do, to withdraw your first earnings. Your payment will be made via PayPal payment processor. 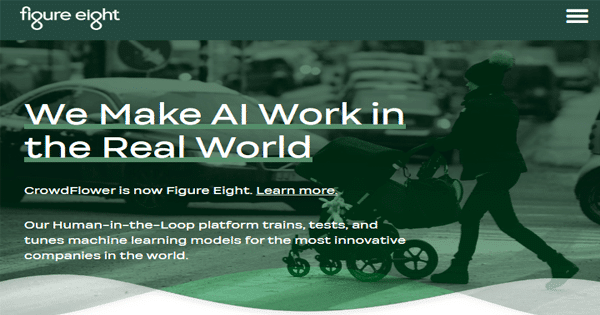 Figure Eight is another good source to earn money online from the internet. They work slightly different from the Mturk and the Microworkers. They don’t directly offer task on their portal instead they offer through third party websites. The most famous sites that offer crowd flower tasks are as Neobux and Clixsense. Extracting data from the images etc. The most important part is that they don’t have any geographic locations and the workers from the tier 1 and tier 2 can earn decent income every month. In the beginning, you will get only very few tasks as you were at the beginner stage starting at Level 0. Also, the pay rates are so negligible that most people think it’s a waste of time. But as your accuracy improves, you will be assigned more tasks as your level grows. At Level 2 and Level 3, Six Figure keeps you busy all through the day by assigning more tasks from the employers. It will take approximately 2 months to reach the level 1, your patience and focus surely pay you in the future. I recommend register with Neobux and Clixsense to get Figure Eight micro jobs as they are the most trusted sites over decades. You can earn up to $1 – $5 per hour when you are at level 1. Apart from doing micro tasks, you can earn more income by completing online surveys. This is another perfect way to make some additional revenue by using your free time answering questions. With all the kinds of work put together and working for 4 – 5 hours every day, you can earn up to $200 – $300 every month from the Internet. They pay through payment processors such as PayPal, Payza, Payoneer but I ask you to refer the default payment mode while registering. Currently, Clixsense makes their payment through Payoneer, Skrill etc and the minimum payout threshold is $10. RapidWorkers is another micro jobs websites of the same kind which pays genuinely to their members. Similarly, like other sites, the person who offers jobs are called as Employer and the person who performs the task are called as Worker. The registration process is very simple and the minimum payout is $4 via PayPal. TaskRabbit is an online marketplace that offers home-based business to all the people, which are mostly real-world tasks. The types of online work include shopping, packing, cleaning, laundry, deliveries, shipping, event planning and staffing etc. There are so many kinds of micro jobs are available such as cooking, arts, and crafts, personal assistance, painting, usability testing, marketing, selling online etc. The taskers must be 21 years of age with a Facebook page or LinkedIn page with a banking account. When you are recruited for a job, you will be given a map to identify your work location and then you can set hourly rates. The employer (Buyers or clients) outline their needs, which you have to complete after you accept the task. You can earn hourly based on your skill and expertise and your earnings are directly proportional to your current level. TaskRabbit’s service is available only in US cities only. This platform is slightly different from native micro jobs websites because they pay points for every completed task. 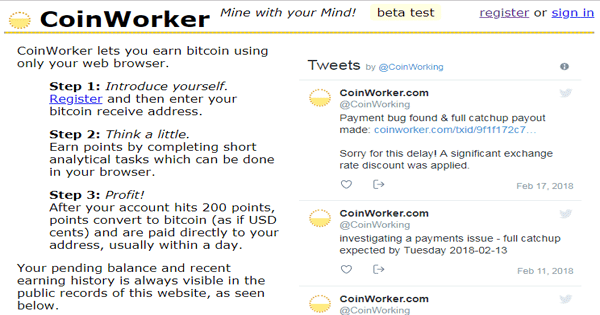 Coinworker is a San-Francisco based crowdsourcing micro job site that includes many start-ups, research projects, and large corporations. Registration is free and you will get more tasks based on your accuracy level and the success ratio. If your accuracy level falls below the required minimum threshold, then you are not allowed to continue working. The employer will assess every completed task, revise, and review before approving the task. Keep consistency in increasing your accuracy level to get more tasks in the future. They pay a minimum of 1 point which is equivalent to $0.01 and they pay as Bitcoins converted during the date of the transaction. When you reached a minimum of 200 points in your account, CoinWorker then processes the payments. Within 24hrs, a payment transaction will be issued to the Bitcoin network and usually be confirmed in minutes. They pay via Bitcoin networks such as BlockExplorer or Blockchain.info. 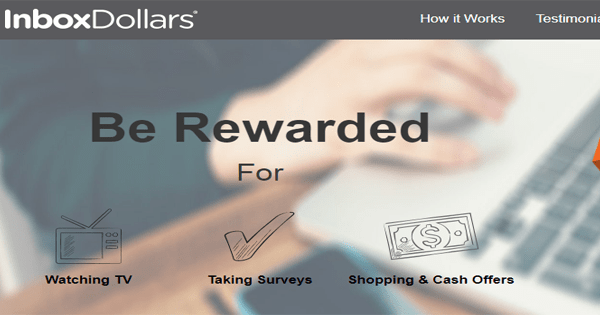 Inbox Dollars is another genuine paying micro jobs websites that pay its members for completing small tasks such as sign up, reading emails, refer others etc. The participants can earn money by completing small tasks such as watching ads, taking surveys, shopping online and playing games etc. They pay you an instant $5 signup bonus immediately after completing the registration process and once you confirmed your email. The minimum payout is $30 and they will pay via PayPal after deducting $3 cash out fee. The Fiverr is also a micro jobs websites which operate slightly different manner. Here, the task is called Gig usually offered by the worker. As a worker, the people advertise their services on the various field for $5 and the employer can choose the worker based on the reviews, qualification etc. Registration is completely free and you can list your services for $5. Services are not limited to a particular niche or a project and it can be anything from designing, development, coding etc. You can set your own working times and project completion date. When someone sends you request, you reply them if you are interested. There are three stages, first level seller, second level seller, and top-rated seller where your level determines the number of sales you will get. All your payments will be made via PayPal and Fiverr will take $1 as a commission for offering this platform. This is another micro jobs place where you can sell your services just like what you have done at Fiverr. They work same as Fiverr and they keep 20% on your earnings from every successful sale. You can find any work such as designing, link building, WordPress development, blog setup etc. The registration process also very similar to Fiverr, complete the registration form, create your profile and then start offering services at your own price. Gain positive feedback and star rated reviews to get more sales in the future. Envato is also a bigger marketplace for microtasks in the world. There are many categories of micro jobs available on their online platform. The best place for finding quality video editors, theme designers, audio experts, content writers, freelance gigs etc. You can work even full-time if you wish, but income from Envato are limitless if you have a quality service to offer. You can earn up to $500 every month if you truly put your efforts on this site. The internet has huge opportunities for every people based on their skills and knowledge. Among the so many online jobs, Micro Jobs is the best platform for the people to make money during their beginning stages. This is the best option for people who are looking for some fast money after completing the job. Be careful in finding the legit micro jobs sites as there are most of the sites are scam asking money for registration. If any micro jobs websites ask for investment to register as a worker, better avoid them. I have listed a few sites which are legit and genuine in paying their members online. Also, based on your geographic location, find the right micro job sites. Thank you for reading this article and I recommend you to register with Clixsense, Neobux, and Microworkers today. You will not be going to earn 100$ in a few days, but work with patience and increase your accuracy level to earn $100 and more in the future. If you have any suggestions or queries, post here in the comment section. Want to become a Pro-Blogger and make $1000 every month. Click here for details.